The New York Times reported today that Ezra Cohen-Watnick and Michael Ellis are Devin Nunes' sources at the White House who allegedly revealed incidental collection of Trump team communications by American intelligence agencies. Cohen-Watnick is the senior director for intelligence at the National Security Council. He was brought into the White House by now-fired National Security Advisor Michael Flynn. Politico reported earlier this month that Flynn's replacement, Lt. Gen. H.R. McMaster, attempted to move Cohen-Watnick to another position after the CIA "saw him as a threat," but was overruled by Trump himself after Cohen-Watnick appealed to Steve Bannon and Jared Kushner. Ellis is a lawyer in the White House Counsel's Office — his current titles include: Special Assistant to the President, Senior Associate Counsel to the President, and Deputy National Security Council Legal Advisor. 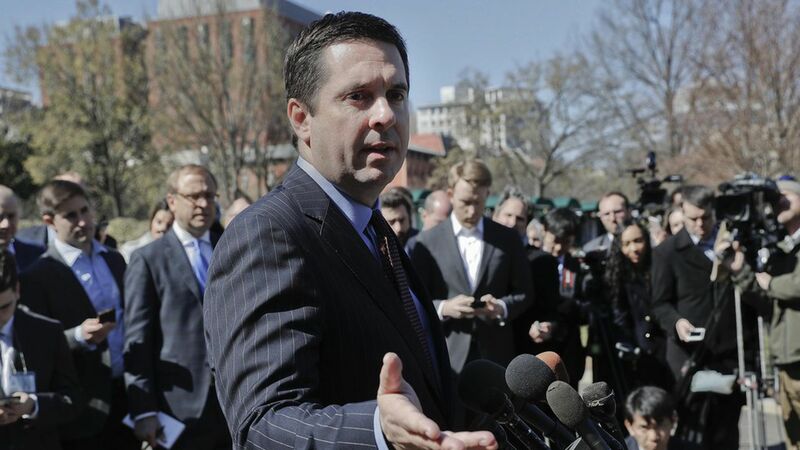 He has a Nunes connection through his former position as general counsel to the House Intelligence Committee. The press release announcing his appointment to the White House stated that he is currently an intelligence officer in the Navy Reserve.